NEW! A a creamy gel textured mask based on Hyaluronic acid and unique patented Boletus 1055 extract to boost the skins natural water reserves. Its creamy formula will coat skin with a soft, relaxing scent of flowers and water. 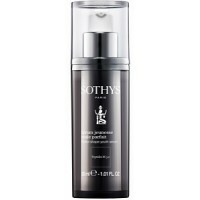 Sothys Hydra Smoothing Mask provides skin with an intense amount of moisture to restore any moisture lost. 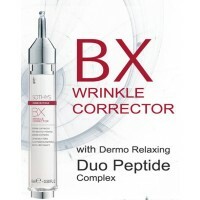 It also contains ingredients that help lock in moisture and create a protective barrier over the skin. HPM Hyaluronic Acid in Free Form - Protects the skin's surface and retains moisture. This mask is great for a hydration boost and acts quickly if you are short on time, or can be left on overnight to maximise the impact. The product feels great on the skin, is easy to apply (not too thick, not too light, but a good mask-like texture) and is great to settle and plump the skin. Highly recommended for those who want something extra in addition to their cleansing, toning and moisturising routine, 1-2 times per week, to ensure hydration.